By utilizing an energy-efficient LED as a backlight, the monitor achieves a high-brightness and low power consumption at the same time. Unlike conventional CCFL backlights, LED backlights deteriorate more slowly and thus the monitor offers a longer service life. 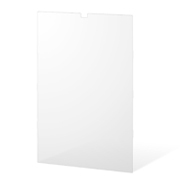 Since the LED backlight is mercury free, it will reduce any potential impact on the environment when it is disposed of. 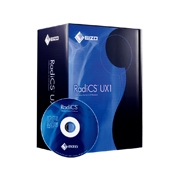 With the bundled RadiCS LE quality control software, a simplified calibration compliant with the DICOM Part 14 standard can be performed to correct the brightness and grayscale tones of the monitor ensuring the most accurate and consistent shadings possible over time. 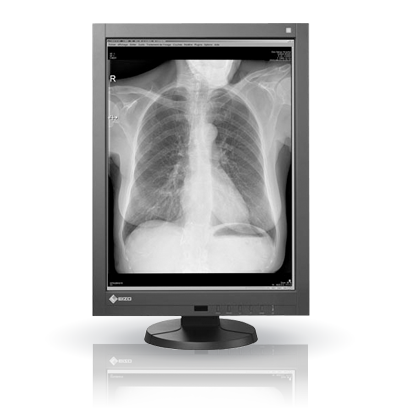 An Integrated Front Sensor (IFS) housed within the front bezel measures brightness and grayscale tones and calibrates to the DICOM Part 14 standard. Without having to connect and disconnect, an IFS performs QC tasks and does not interfere with the viewing area. 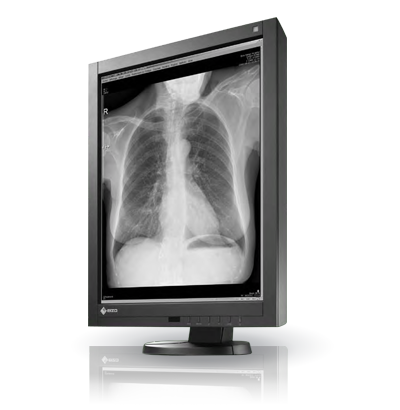 This dramatically cuts monitor quality control workload and maintenance costs. The Digital Uniformity Equalizer (DUE) function provides optimum brightness uniformity which is difficult to attain due to the characteristics of LCD monitors. 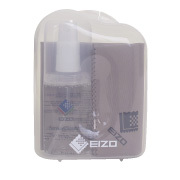 At startup or upon wakeup, the EIZO patented drift correction function quickly stabilizes the brightness level. In addition, a sensor measures the backlight brightness and compensates for brightness fluctuations caused by the ambient temperature and the passage of time. Meets the strictest medical, safety, and EMC emission standards. 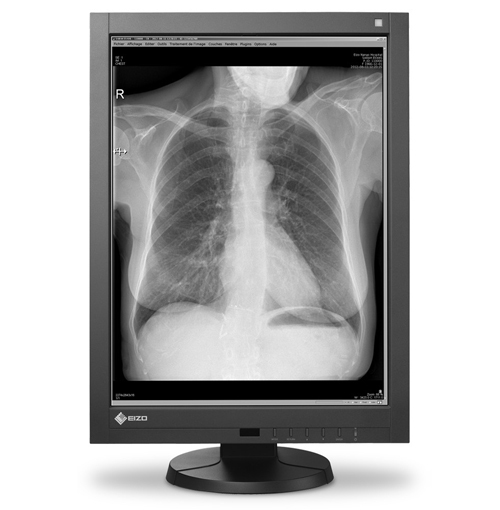 For monochrome monitors, Hybrid Gamma function automatically distinguishes the medical images from the non-medical areas such as the tool palettes and displays each one at its optimum brightness. Decreasing the tool palette area's brightness leads to less eye fatigue. Accuracy in distinction may depend on how images are aligned. Viewer software compatibility verification is required. 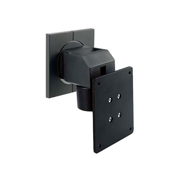 The presence sensor feature unites convenience with savings by ensuring that the monitor conserves power when it is not in use. The presence sensor prompts the monitor to switch to power save mode when it detects the user is away from the monitor, and then resume normal operation when the user returns. 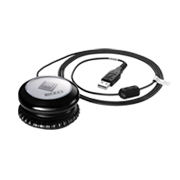 Selectable with the front panel buttons, the CAL Switch function allows for various imaging modes of different modalities such as CR, CT, and endoscope images. Furthermore, auto mode settings can be made with the Auto CAL Switch function. Wide Viewing angles with minimal color shift when viewed from the side. 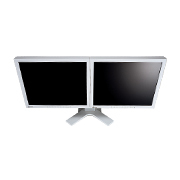 EIZO's highly versatile stand offers tilt, swivel and a wide height adjustment range enabling you to use the monitor with greater comfort.